Delhi was born in the wilds of India in 1946. She was captured as a baby and sent to America on a cargo ship, she was purchased by the Hamid Morton Circus. Delhi performed with the circus until 1974, when she was sold to the Hawthorn Corporation, a company that trained and rented elephants to circuses. Delhi spent over 50 years as a performing elephant, traveling from town to town, confined to small barns when not on the road. As she aged, Delhi’s feet began to deteriorate which is a common problem with captive elephants. In 2002, a Hawthorn handler soaked her feet in full-strength formaldehyde causing severe chemical burns. 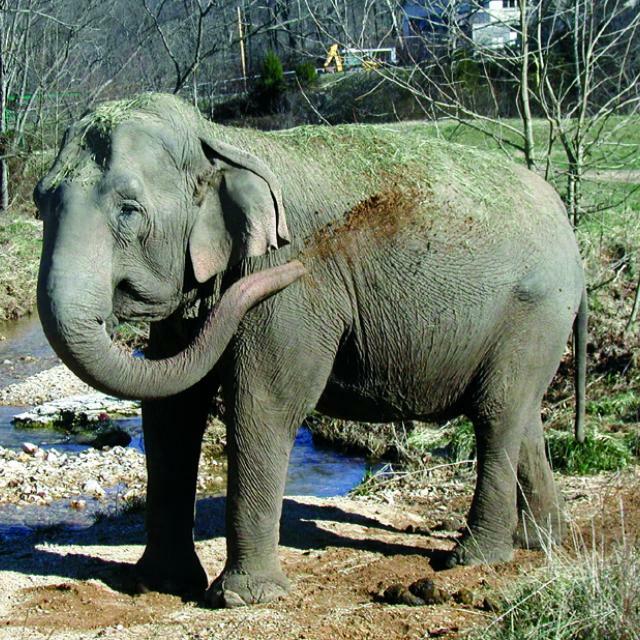 After 20 months of continued inadequate care, the USDA exercised emergency intervention, confiscating Delhi and transferring her to The Elephant Sanctuary in Tennessee on November 23, 2003. Delhi was the first captive elephant in American history to be seized from her owner due to inadequate care and inhumane treatment, and her condition led to a landmark case of federal prosecution and the eventual release of the rest of her herd three years later. Delhi, the Sanctuary’s ninth resident, arrived with an advanced case of osteomyelitis—a life-threatening bone infection affecting several toes of her front feet. This disease has never been cured in elephants and currently there is no reversal for the damage done. The Sanctuary made preparations for hospice care, unsure if Delhi could survive her condition much longer. 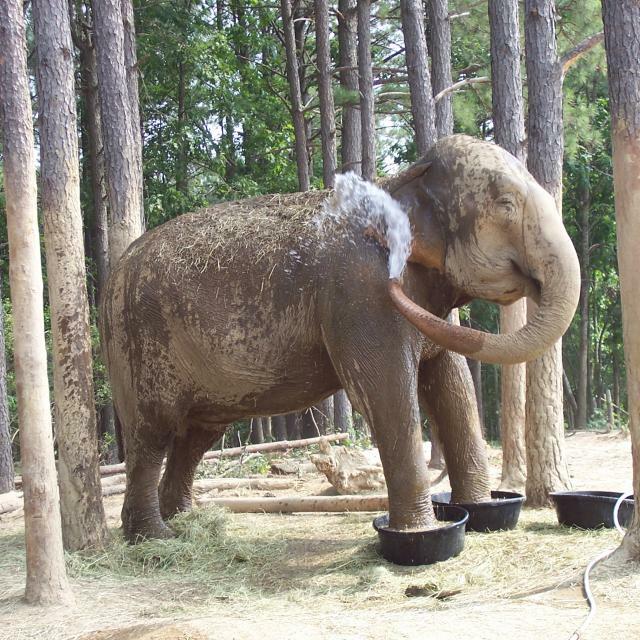 The USDA required Delhi be quarantined from all the other elephants for the next eight months, so a special barn and yard were created to accommodate her needs. She took daily naps in her yard and soon began to show signs of being comfortable in her new home. On the day she was finally released from quarantine, Delhi was given access to the rest of the habitat, and she did not look back! She eventually climbed the hill behind the upper pond and spent the rest of the summer there. 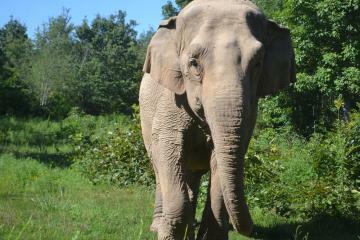 In early 2006, Delhi moved to the expanded Asia Habitat with the rest of the herd. That same summer, she was reunited with Misty, with whom she was housed in the Hawthorn barn prior to coming to The Sanctuary. With Misty by her side, Delhi suddenly had a new sparkle in her eye. They remained inseparable companions until March 11, 2008, when at the age of 62, Delhi quietly passed away in her sleep.